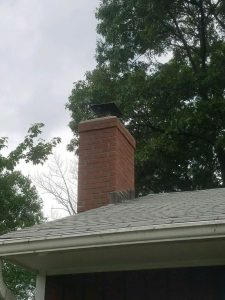 A Waterbury chimney customer called us out to fix their chimney that had the faces of the brick pop off. This is called spalling, which we see on occasion with porous brick that allows water to penetrate and damage the weaker portions of the brick structure. 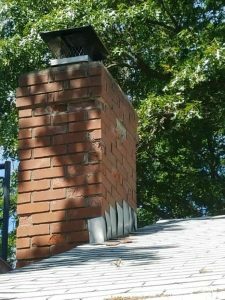 The flashing on the chimney was also loosened over the years, allowing water to enter as well. Due to the chimney damage, we tore down and rebuilt the chimney masonry from the roof up. We also waterproofed the rest of the chimney with high quality chimsaver waterproofing to slow down the deterioration process that water can cause. Another fine chimney rebuild in Waterbury, CT.